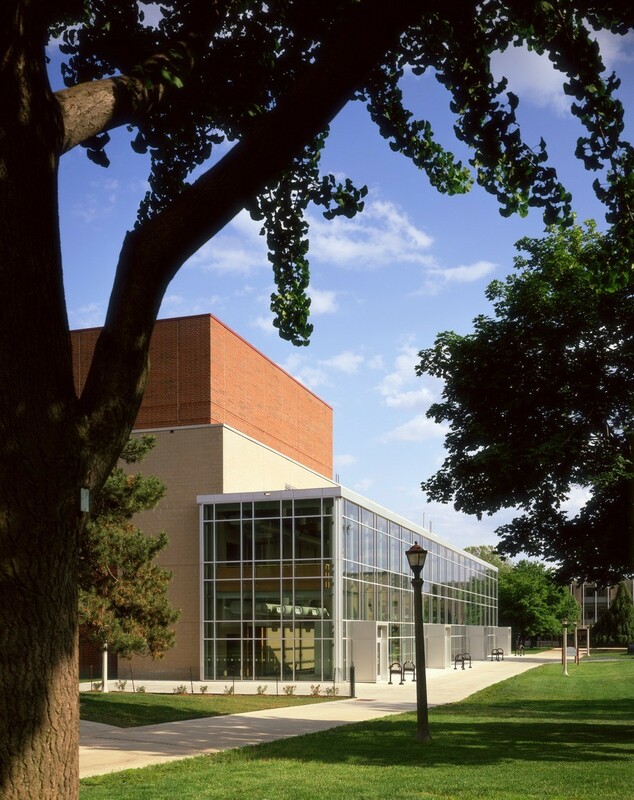 The Performing Arts Center bolsters the Theater and Music programs’ mission to integrate “performance” into the university’s academic program. 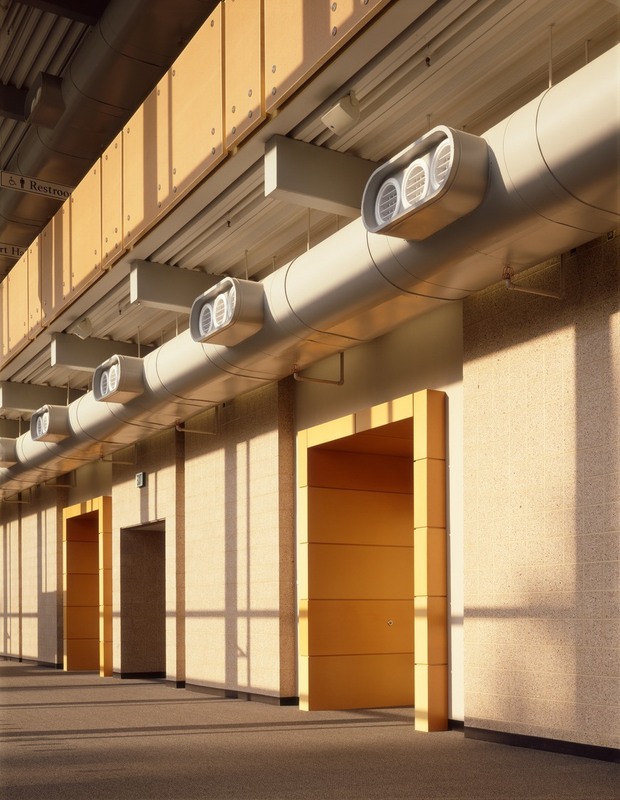 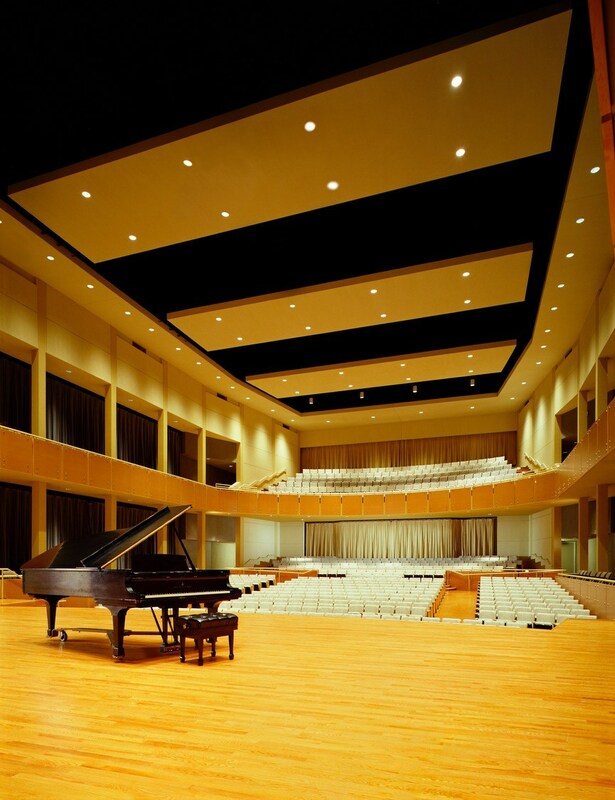 Focusing on faculty, student, and guest-artist performance, this efficient, acoustically precise facility translates a tight budget into a simple yet elegant architectural solution. 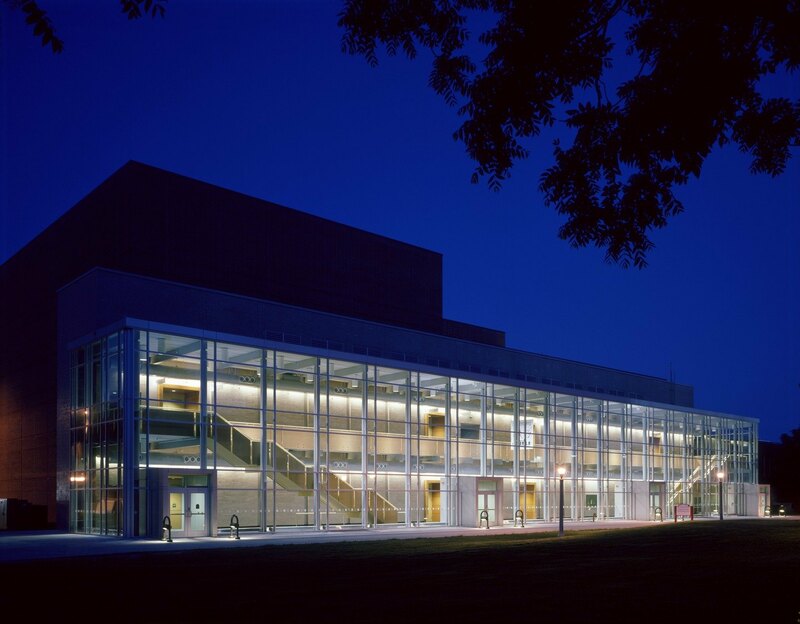 The 60,000-SF Arts Center includes a 450-seat Proscenium Theater, 1,000-seat Concert Hall, and shared lobby. 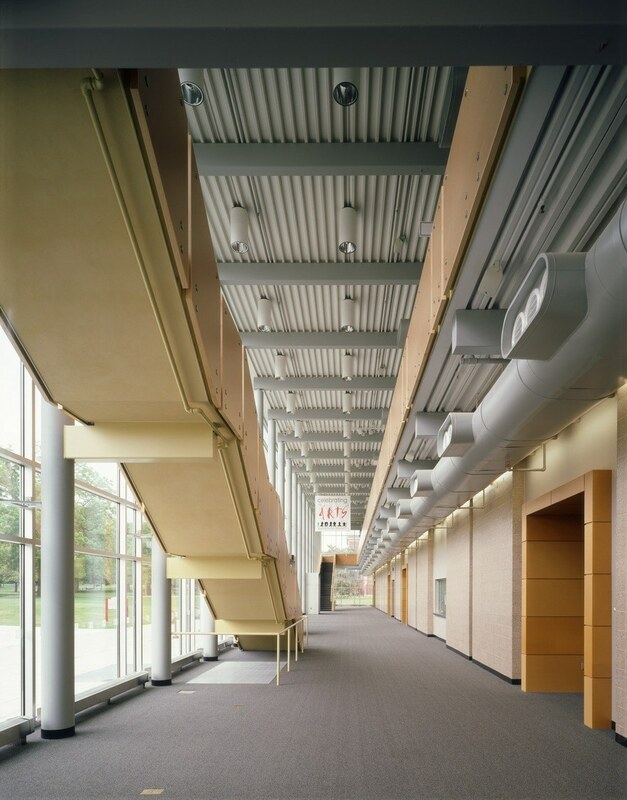 HGA used a simple palette of campus brick, honed concrete masonry, glass, and recycled wood fiber in the public spaces.